In my opinion, the best rock 'n' roll music in the world today is being made by bands from the Sahara Desert. Case in point: Tamikrest (pictured above), from Kidal in northeastern Mali. Their third album, Chatma (My Sisters), will be released in the USA on October 1, and you'll hear a track this week on Global A Go-Go. Prepare to be rocked. 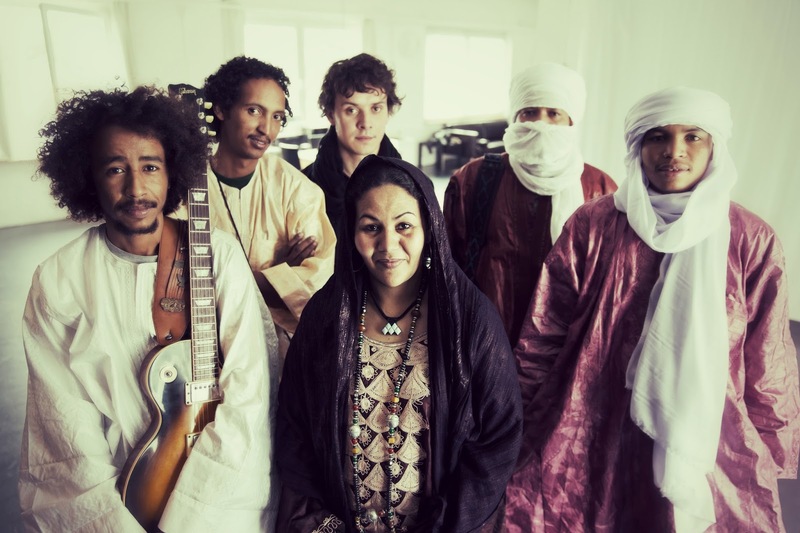 Also on this week's show: a brilliant new album by Andrea Echeverri; music of Mauritania; paranda, mento and calypso; two deep groovers by Fat Freddy's Drop.